As someone who has been a department chair for over 12 years, I have interviewed a lot of different candidates for jobs ranging from 6th -12th grade. I love the interview process because it fills a bit of my teacher bucket, exposes me to new people, and reminds me how lucky I am to work with such incredible people that so many want to be a part of our team! Throughout this process, I have often thought to myself how people prepare and have a few tips from the other side of the table. First, you have to land the interview. I look through every social studies application that comes through our system. I immediately put ones that misspell, forget to capitalize, or leave questions blank in a discard pile. Answer each question! Double check everything! Make sure you have a professional sounding email. (This one gets me every time. I’ve had some pretty awful and unprofessional ones come across my desk. That’s an automatic no, thank you.) Have a professional, easy-to-read resume. Be someone on paper we want to meet in person. And make sure your online profile is something you want your potential employers to see. One you land the interview, know the school that you are applying to and why you want to work THERE. This is a question I often ask people. I want to see that your genuine interest is to work at MY school, not in the district or because it’s close to your home. Do your research! Saying, “Because it’s a great school” is like saying that ice cream is good. It’s not the answer your interviewers want to hear. I know I work at a good school. Be precise with your answers. DO NOT drone on or lose focus because then we stop listening. Use the jargon you are most comfortable with. Be passionate about your work! Vary your answers. I have been in a lot of interviews where the candidate gave me the same answer for a few questions, just formed in different ways. Sell yourself. Show them what you have to offer them and what your plan is. If you plan to go get a graduate degree or a National Board Certification, let your interviewers know. It’s key to show that you are willing to continue to grow and adapt to new educational ways of thinking! Don’t be afraid to show them what you can offer and how passionate you are about education! Confidence is key! Don’t be afraid to show who you are as a person and be comfortable with that. Teaching isn’t a profession you perfect, so we want to see that continual strive to be better, no matter how long you’ve been teaching. And on that, dress in something that makes you feel good. That goes a long way in confidence! Never, ever say “I don’t know.” If you get stuck, take a deep breath and say, “That’s a good question.” If you don’t understand what they are asking, ask them to repeat,rephrase, or clarify. It’s ok! We work with students all day who need the same thing. I want to make sure you understand the question I am asking you! Be prepared for anything. You never know what you are going to be asked, but a cool, calm demeanor can get you far. Things at a education change and I appreciate someone who can go with the flow and do what is best for students. Practice with a colleague, a friend, or a mentor. Ask questions. My favorite part! I LOVE talking about my school, ways to be involved, how great it is to be a part of my department. I feel very turned off if the candidate has no questions. It makes them seem unprepared or uninterested. One of your questions should be about the timeline for hiring. Each situation will be different. Every admin and department chair has what they want, so don’t be discouraged if you aren’t a good fit. I did leave out bringing a teaching portfolio. If you want to bring one, it never hurts. For me, I am more interested in who you are as a person rather than who you are on paper. It tells me more. Regardless, as we move into the summer and interviews, I wish you the best of luck! This past weekend, I was granted the incredible opportunity to go to Charlottesville, VA for a weekend seminar with Teaching American History on Thomas Jefferson, which included some time at Monticello, my third favorite home of a Founder. It also didn’t hurt that UVA was in the Final Four and won that Saturday! Let me start off with the fact that my degree is in Early Childhood Development and Education. I got a Masters in Secondary Education with a History Emphasis, but my knowledge of documents, content, and all around history knowledge has come about differently in my 16 years of teaching as opposed to a history major. I am also a firm believer that before I assign something to my students, I need to have done my homework. It easier when you have experiences like this! This is my second weekend seminar, the first being a few years ago at Montpelier. You can actually access the readers from the one day or weekend seminars through the site, even if you don’t go! You will be exposed to readings you may have not seen before. Not only will you read them, but you will be able to discuss them! Hearing from other teachers. I always think this is the best PD, knowing what other teachers are doing and thinking. This group of teachers was one of the best! The ability to travel to the locations! The professors that facilitate the discussions are amazing. I never feel wrong. I am able to ask questions to truly understand what I’m reading. I start to lesson plan in my head, or think of questions to prompt my students to think of other ways to look at documents. I may have started to understand the juxtaposition of Jefferson’s stance on slavery and the fact that he owned slaves. May have being the key word there. APPLY FOR THESE SEMINARS! I am a better learner and teacher because of them. I’ve gone to some one day seminars here in Phoenix knowing next to nothing about what I’ve read and I always learn so much. Don’t be shy! Every teacher has their own ways to teach FRQ writing for AP Government. When I taught APUSH with my team of 2 other teachers, I was the writing coach. It’s just something I’m good at. The other two gentleman are crazy content experts who would come in and wow the kids with their knowledge of every.little.detail, and I gave my strength to the team with my knowledge of writing. Now, APUSH writing is so different, but I took some of it, as well as my year of AP reading experience to determine what worked for my class. I also ask my students what works and what doesn’t, and moved on from there. This is something that works for us and that kids really got. For my students, just writing FRQ’s isn’t enough. They need the practice in a setting that allow them to discuss and understand what they are doing, as well as how to fix errors. Just writing the FRQ and turning it in for grading doesn’t work for us. I don’t want mountains of papers to grade and they want immediate feedback. I adapted this from a Kagan strategy I used when I taught 8th grade. I have students put phones/backpacks/etc away because our sole focus is writing FRQs in an environment that mimics a testing environment. I divide the class into “rounds” and have the direction on the overhead. Google Slide version of FRQ Round Robin (I do change this for each class/semester/or after reflection) **You can save a copy of this and make changes! Round 1: Take 3-5 minutes to read the FRQ to see what it’s asking of you. Underline the verbs (see below), circle any numbers, understand the question is asking of you. This is the #1 reason I saw that students didn’t get points. Their answer was right, it just didn’t answer the question. stay politically neutral, you are not writing an op-ed, you are a political scientist answering a question. if a question asks for 2 examples, provide 3. Give yourself a back up or 2.
for any question that asks you to explain, determine what you need to show you understand prior to explaining. For example, in the 2018 example above, make sure the reader sees that you directly understand WHAT gerrymandering is before you explain how electoral competition is affected by it or WHAT a single member district is before you explain why they make it difficult for third parties to win elections. Each student answers part A without talking (4-5 minutes depending on the question) They will have plenty of time to talk once we are done. Once the timer goes off, have them trade their papers to the left. Continue writing and trading to the left. Once you are finished, each member should have a completed FRQ with each piece written by a different person. You can time your students depending on their level of comfort. I usually give 4-5 minutes. With the FRQ in front of the student, have them put away their pen and grab the grading pen. In this round, the individual student (still no group talking) can make ANY edits to the FRQ that is written. They can add or subtract. I like the different pen because I want to see their thinking. This is when students get to talk. In this round, the group will decide which FRQ they will submit for grading. This part is the most collaborative and allows them to talk about the FRQ. This is my favorite part! I love to walk around and formatively assess students’ understanding of the FRQ. Once they decide, they staple the one to grade on TOP of the others. I do want all the FRQs turned in. Grading. This is when we go through the FRQ as a class and discuss the rubric. You can do it all together OR give each group a rubric. I do have them switch with another group to allow them to see other’s writing. This is the part where we really dig into what was being asked and what acceptable answers are. **Remember, students can write down something that is correct, but doesn’t answer the question. If it doesn’t answer the question, it doesn’t get a point. Period. Once students are finished and all questions have been answered, I have students do a reflection because I need to see how this went and where we need to go from here. I can do one FRQ in my normal 55 minute class period without feeling stressed or pressed for time. To start, my class is a semester long. This semester, I have 17 less instructional hours than I did from last semester. I am grappling with field trips, college visits, and most recently a threat to the campus that left me with about half of my classes. I’m making a calendar for my 1st semester kids as a guide to study. I also have a two week break coming up, which sounds amazing, but I also have a May 6th AP test at 8am. That small voice inside me says, “You can do it!” The logical part of me is having a panic attack. The hardest part of the redesign for me is really taming the content dragon. What do they need to know? What vocabulary is needed? Will I spend too much time on something and have it not be on the test (like the Supreme Court cases last year… yeah, I’m looking at you CB) Is Albert.io helping or hurting? WHY IS THIS SO DIFFICULT? WHY IS THERE SO MUCH INFORMATION? I am in the same boat as you, friends. And my arms are tired because I feel like I’m paddling without an oar, upstream in thunderstorm. I have so much help and there is so much information and great ideas that I feel like I’m drowning in information. All I can say is this. I’ve been focusing on the skills. The thinking, writing, and making sure they have a base knowledge to answer questions. I’ve come to the conclusion that yes, I want them to feel ready for this test, but what I really want is for them to be informed citizens. I know that I can’t teach everything, but I can hope that they leave that test feeling that I prepared them. I cannot possibly teach every piece of content. In conclusion, my friends, it’s not easy being an AP Government teacher, but it’s sure fun! And I wish I could call myself Elizabeth of the House AP Government, Slayer of Content Dragons, Mother of FRQs, Relayer of all information relevant and pertinent to the test. 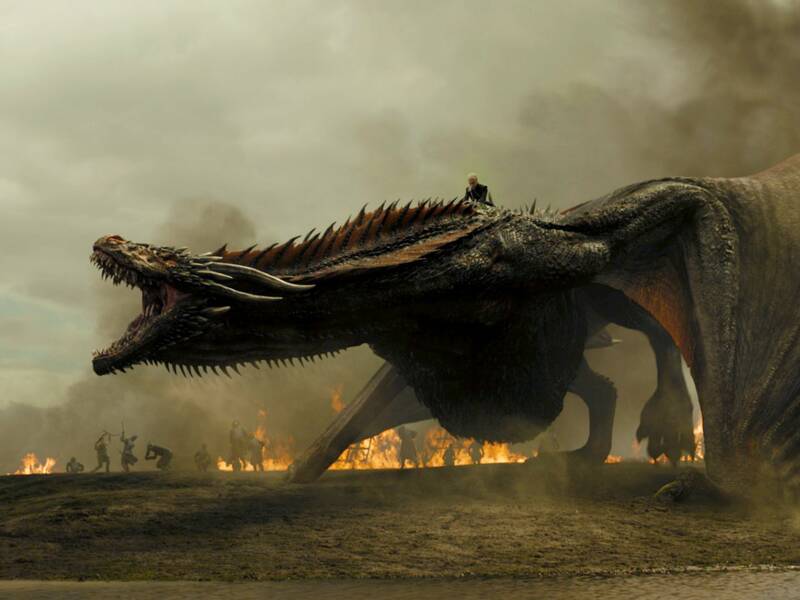 What are your best ways to slay the content dragon? Well, this State of the Union address has been mired by the government shutdown and a disinvite to the chambers by the Speaker, so at this point I wonder when and if it will happen. Regardless of this, I wanted to think of an extra assignment that students could participate in that would require them to apply their knowledge. In my younger teacher days, I have been guilty of giving a bingo card with just words, which in it’s own right it fun, but I wanted something this year that would require them to show what they know, not just check off a box when they hear the word. I also want to keep this as scientific as possible, and less political. In the past, my students have used Twitter and our class hashtag. So this year, I’ve decided to plan a SOTU Twitter party. You can also do this in class without technology as you watch a SOTU speech. Since the current year is up in the air, teachers can use older speeches and paper BINGO cards. Warm-Up: The History of the State of the Union. Fun facts and a quick overview on what the State of the Union is. Concepts: (You can use more or less depending on where you are in your units. I teach semester classes so we just finished Unit One) Students can fill out their own BINGO sheets. On the back, reflect on observations from the speech. Where there times some people stood and some did not? Who was there and who was notably absent? What was the tone of the speech? What is important to the President and how do you know that? During the SOTU address, students will check off boxes as they write down the example of the concept mentioned. For the Twitter Party, students will use our class hashtag and #SOTU. We will do a live tweet so as soon as they hit a BINGO, they can claim it! (for extra points) This gives students opportunities to participate in a positive social media experience. I will set guidelines for our class hashtag, as I learned my lesson last semester. *You can do this in class as they watch or with a live SOTU. The possibilities for engagement are endless! My hopes for this is it allows students to take a non-partisan look at the speech and be scientific about their observations. If you have a particularly political area you teach in, taking an old speech may help. This is the first evening televised speech by LBJ or you can have students choose their own. The main point here is to find examples that illustrate the concepts. Since we were able to go over the roles of the Presidency, I updated the assignment to reflect. This can be used in class with any assignment and changed to not include social media. How do your students interact with the State of the Union speech? What has worked for you in the past? It has begun. We’ve started our week of deep diving into Street Law’s Winter SCOTUS in the classroom case, Tyson Timbs and a 2012 Land Rover LR2 v. State of Indiana. This is the final exam for my AP Government class as well as my accelerated 8th graders. I have discussed how I do this in a previous post. This is how I’m doing it for this year! We end our semester in AP Government with Civil Rights and Civil Liberties. Since this case was argued November 28, the media is fresh and there is a lot of information out there. It’s in the news, it’s on podcasts, it’s part of our everyday lives. Preface: I’ve given them case and assignment before to allow them to look it over and decide what they will want to do or what they will be successful at. I’ve developed these roles because I know students show their knowledge in different ways. It’s an ever developing project as I get feedback from my students. Day 3 (Block Day) Full practice exam– not related, but I want one last exam before they leave so I can see where they are at and personalize review assignments for the spring AP test. Day 6: Finalize papers and turn in. Run through what to expect with Moot Court. I look through all papers that night to ensure quality before the moot court date. I will update as we move forward, but wanted to give an overview of what I’ll be doing the next few weeks! Man, this was fun! I even had a student come up with their own media company to live tweet the case. As much as I trust my students, there was an issue of misuse of technology and a student tweeting something with inappropriate language tied to our class hashtag. I had it immediately removed, but it taught me a valuable lesson. Next time, I will review appropriate use of technology as it relates to using class hashtags and have a set punishment for. It is the unfortunate byproduct of using social media in a classroom. Lesson learned. One class got off topic and the Justices were asking irrelevant questions. I need to be better at preparing them as to what to ask. The Justices in a few classes were on a mission to be tough. Next semester, I will be more specific with what they need to do. I caught one class and reminded the Justices that they are to let the lawyers answer their questions and to not try to trick them. All classes were unanimous in their decisions and had so much fun! We had to pack a Court because of class size.